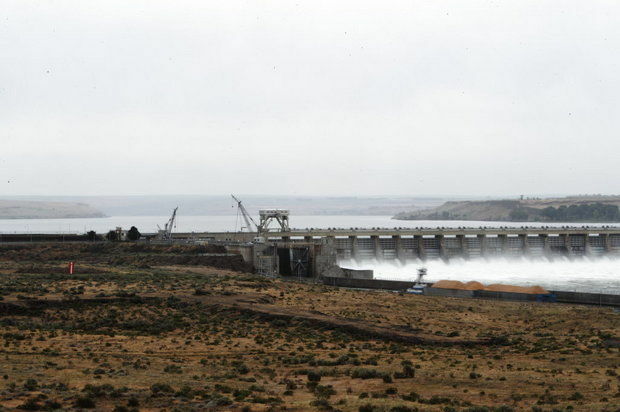 Rep. Cathy McMorris Rodgers and three of her colleagues are asking Trump administration officials to dig into the expected costs of a recent court order dictating more water be spilled at Snake and Columbia river dams to aid protected salmon and steelhead. The Republican congresswoman sent letters to Army Secretary Robert Speer, Commerce Secretary Wilbur Ross, Interior Secretary Ryan Zinke and Bonneville Power Administration head Elliot Mainzer expressing concern over a March 27 order from federal Judge Michael Simon of Portland. "Not only is additional spill a new policy affecting many congressionally authorized projects in the Pacific Northwest, there will be unintended consequences that will hurt fish recovery while also gravely increasing power costs," states the letters, which also were signed by Washington Republican Dan Newhouse and Oregon Democrats Peter DeFazio and Kurt Schrader. Simon's order grew out of a long-running court battle in which salmon advocates successfully and repeatedly have challenged the federal government's plan - known as a biological opinion - to balance operation of the dams with the needs of 13 wild runs of salmon and steelhead listed as threatened or endangered. The judge overturned the 2014 biological opinion last year and in March granted requests by salmon advocates that more water be spilled at the dams while the government attempts to fix the problems with its plan. The increase in spill, which won't go into effect until next spring, is designed to help salmon and steelhead smolts pass the dams and find their way through slackwater reservoirs. McMorris Rodgers and her colleagues asked the administration officials to detail how much the BPA spends each year on mitigating the negative impacts Snake and Columbia river dams have on fish and wildlife and to show how much of the cost is borne by ratepayers. In addition, they asked for an accounting of the total amount spent on salmon recovery by the U.S. Army Corps of Engineers, U.S. Bureau of Reclamation and the BPA; the percentage of juvenile salmon and steelhead that survive downstream passage of each of the four lower Snake River dams and how that compares to the pre-dam era; and how many salmon and steelhead are lost to predation. They asked the agencies to detail both the adverse consequences and the "quantifiable benefit" of spilling more water, and lastly they asked how much the agencies are spending on an environmental impact statement on the dams and their effects on the fish that also was part of Simon's order. Joseph Bogaard of the Save Our Wild Salmon Coalition at Seattle criticized the letters as political meddling that hurts, instead of helps, salmon recovery. "This is exactly the kind of political interference that has plagued this issue for many years and led to the outcomes we've got, which is a series of illegal plans, $15 billion in spending and not a single population that is recovered or healthy," he said. "When you let politicians distort informed policymaking, you get outcomes that spend a lot of money and don't work."